I am back today with another fun fold card that I made using this months Creative Cafe' Card Kit of the Month! You can see all the info about this months kit, Take Flight, here. I used the the add on stamp set, "Winging it"on today's card as well. I started with a half sheet of shimmery cardstock. 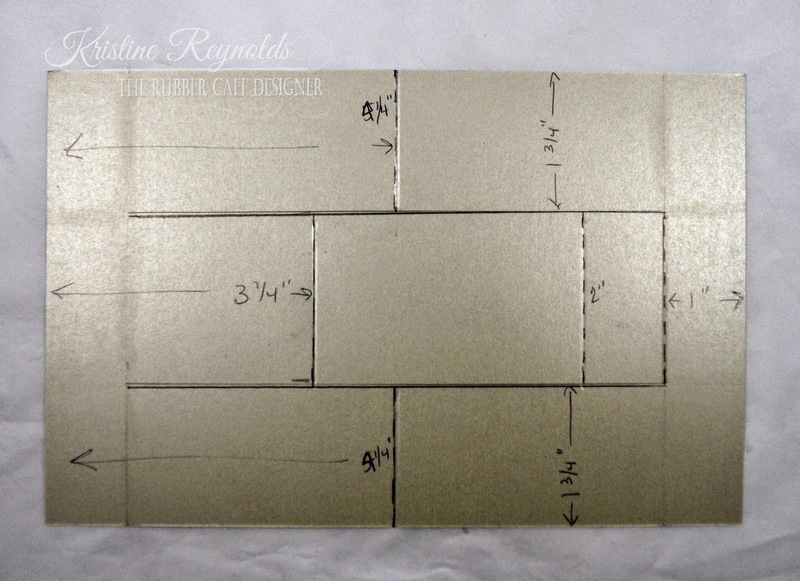 It measures 5 1/2" x 8 1/2". Score on the vertical dotted lines and cut on the two horizotal lines. 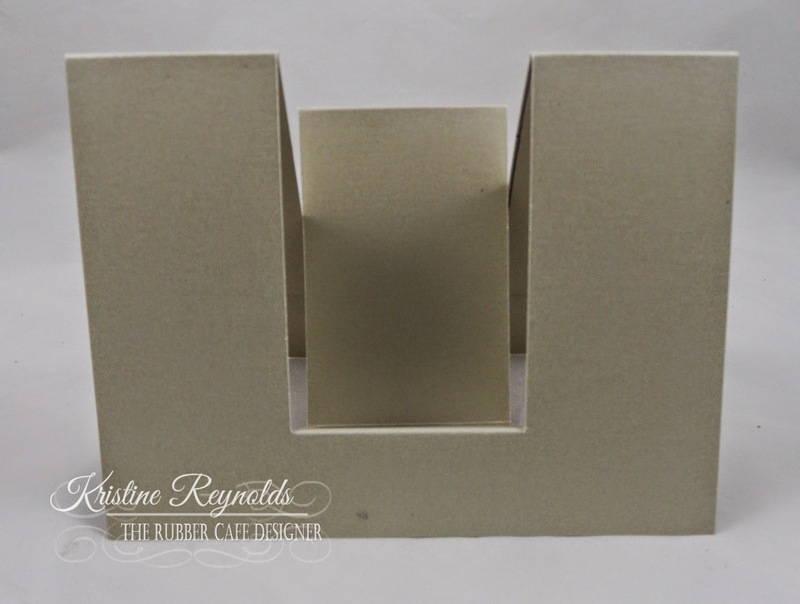 Then fold so that the card base looks like this. 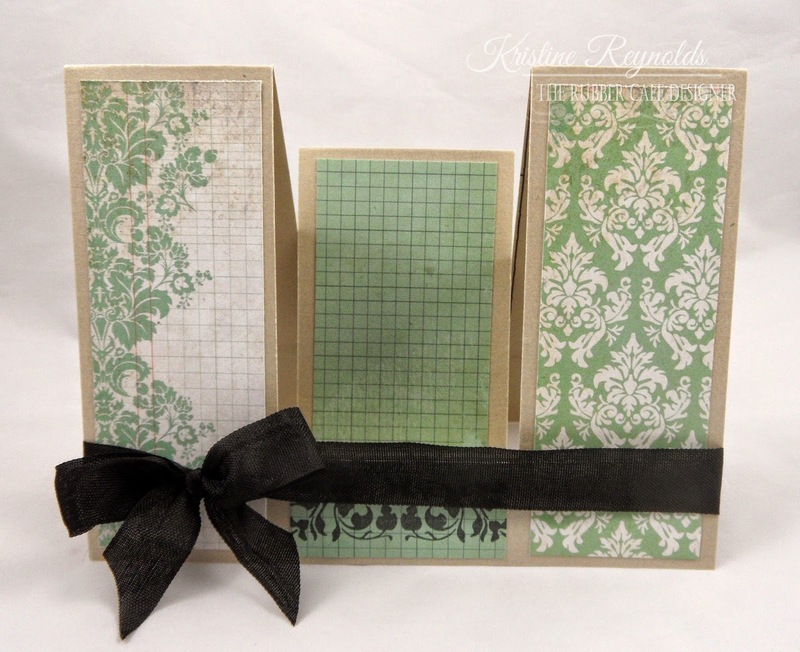 Cut patterned paper panels slightly smaller that the panels of the card and adhere with Scrap Happy Glue. 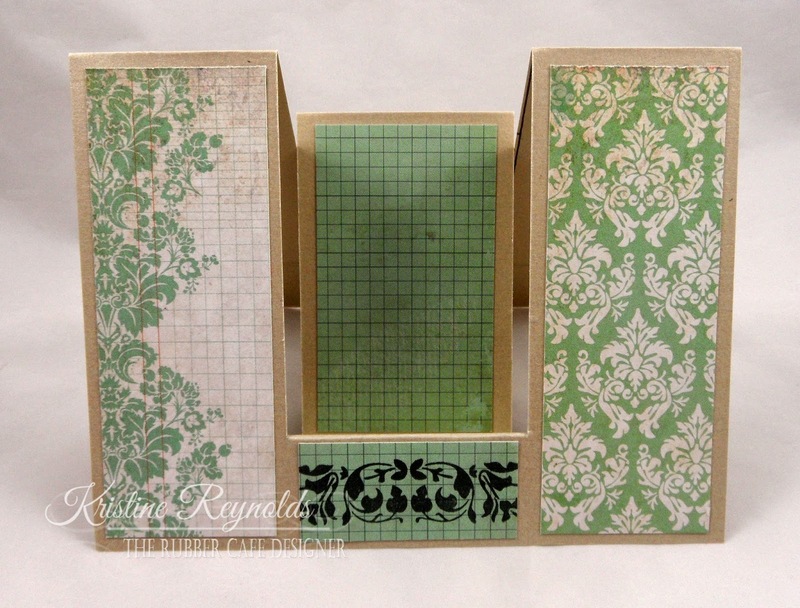 I stamped on the bottom center panel with Memento Tuxedo Black ink. Tie a piece of black seam binding from the kit around the lower part of the card. Stamp the butterfly image three times on white cardstock with Memento Tuxedo Black ink and color with Copic Markers before cutting them all out. Stamp the sentiment on a die cut circle panel with Memento Tuxedo Black ink. Back panel with a larger scallop edge shimmery circle and add rhinestones. 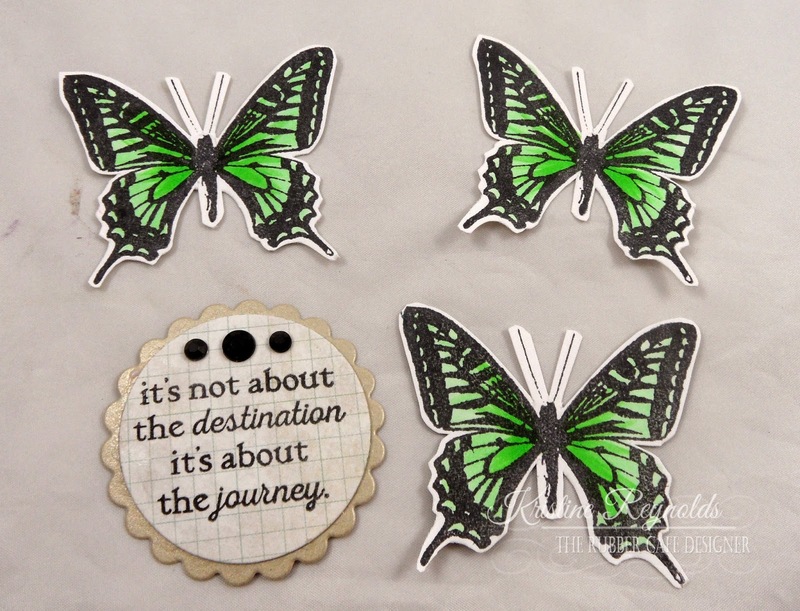 Adhere sentiment panel and butterflies to card with Scrap Happy Glue as shown to complete the card. I hope you enjoyed today's card! I can't wait to share what I'm making with the January Kit of the Month!